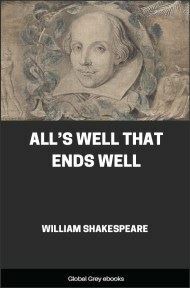 Set in France and Italy, All's Well That Ends Well is a story of one-sided romance, based on a tale from Boccaccio's The Decameron. Helen, orphaned daughter of a doctor, is under the protection of the widowed Countess of Rossillion. In love with Bertram, the countess' son, Helen follows him to court, where she cures the sick French king of an apparently fatal illness. The king rewards Helen by offering her the husband of her choice. She names Bertram; he resists. When forced by the king to marry her, he refuses to sleep with her and, accompanied by the braggart Parolles, leaves for the Italian wars. He says that he will only accept Helen if she obtains a ring from his finger and becomes pregnant with his child. She goes to Italy disguised as a pilgrim and suggests a 'bed trick' whereby she will take the place of Diana, a widow's daughter whom Bertram is trying to seduce. A 'kidnapping trick' humiliates the boastful Parolles, whilst the bed trick enables Helen to fulfil Bertram's conditions, leaving him no option but to marry her, to his mother's delight. COUNTESS: In delivering my son from me, I bury a second husband. BERTRAM: And I in going, madam, weep o'er my father's death anew: but I must attend his majesty's command, to whom I am now in ward, evermore in subjection. 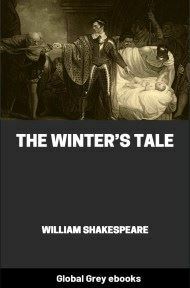 LAFEU: You shall find of the king a husband, madam; you, sir, a father: he that so generally is at all times good must of necessity hold his virtue to you; whose worthiness would stir it up where it wanted rather than lack it where there is such abundance. COUNTESS: What hope is there of his majesty's amendment? LAFEU: He hath abandoned his physicians, madam; under whose practises he hath persecuted time with hope, and finds no other advantage in the process but only the losing of hope by time. 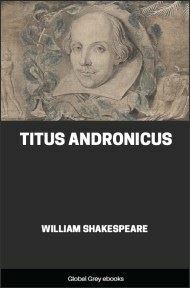 COUNTESS: This young gentlewoman had a father,--O, that 'had'! 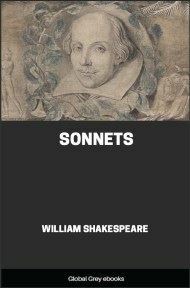 how sad a passage 'tis!--whose skill was almost as great as his honesty; had it stretched so far, would have made nature immortal, and death should have play for lack of work. Would, for the king's sake, he were living! I think it would be the death of the king's disease. LAFEU: How called you the man you speak of, madam? 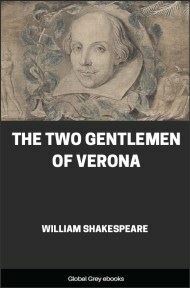 COUNTESS: He was famous, sir, in his profession, and it was his great right to be so: Gerard de Narbon. 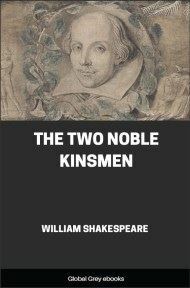 LAFEU: He was excellent indeed, madam: the king very lately spoke of him admiringly and mourningly: he was skilful enough to have lived still, if knowledge could be set up against mortality. BERTRAM: What is it, my good lord, the king languishes of? LAFEU: A fistula, my lord. BERTRAM: I heard not of it before. LAFEU: I would it were not notorious. Was this gentlewoman the daughter of Gerard de Narbon? COUNTESS: His sole child, my lord, and bequeathed to my overlooking. I have those hopes of her good that her education promises; her dispositions she inherits, which makes fair gifts fairer; for where an unclean mind carries virtuous qualities, there commendations go with pity; they are virtues and traitors too; in her they are the better for their simpleness; she derives her honesty and achieves her goodness. LAFEU: Your commendations, madam, get from her tears. COUNTESS: 'Tis the best brine a maiden can season her praise in. The remembrance of her father never approaches her heart but the tyranny of her sorrows takes all livelihood from her cheek. 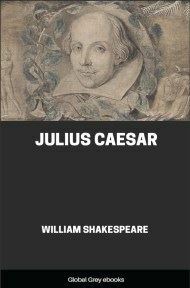 No more of this, Helena; go to, no more; lest it be rather thought you affect a sorrow than have it. HELENA: I do affect a sorrow indeed, but I have it too. LAFEU: Moderate lamentation is the right of the dead, excessive grief the enemy to the living. COUNTESS: If the living be enemy to the grief, the excess makes it soon mortal. BERTRAM: Madam, I desire your holy wishes. LAFEU: How understand we that?